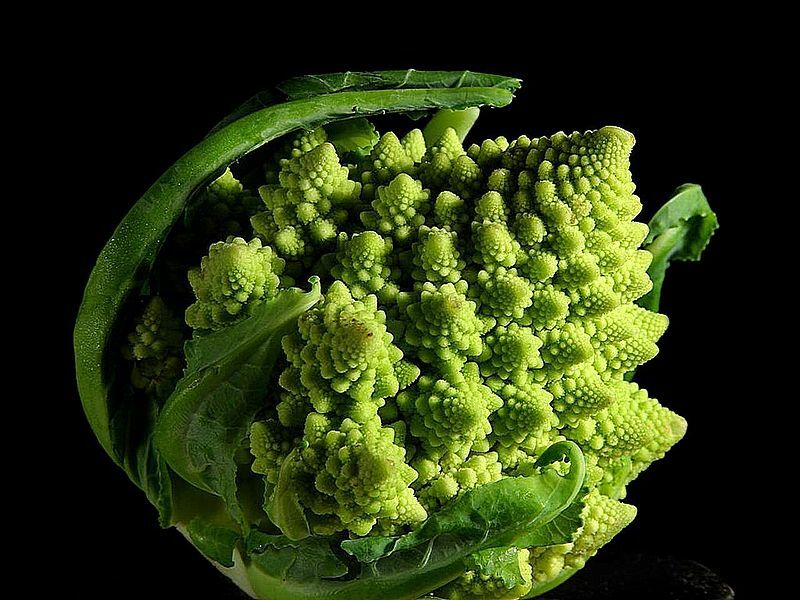 I don’t know if you’ve ever seen a romanesco cauliflower, or broccoli, but it’s a gorgeous vegetable. Its shape is what they call “fractal.” Merriam-webster.com defines fractal as “any of various extremely irregular curves or shapes for which any suitably chosen part is similar in shape to a given larger or smaller part when magnified or reduced to the same size.” I’ll just say that it’s amazing. I mean, take a look at it. Also known as broccoflower and Roman cauliflower, romanesco is part of the brassica family, which includes cruciferous vegetables (cauliflower, broccoli, cabbage, bok choy, Brussels sprouts, etc.) and was first seen in Italy around the 16th century. Although its color is closer to broccoli, its texture and flavor is that of cauliflower. It’s such a visually stunning vegetable that whenever I see it, I can’t pass it up. Nature is a wonderous thing. This is a very simple old Italian recipe that usually uses regular cauliflower, but romanesco is easily substituted. Bring a large pot of water to a boil. Add pasta and 3 teaspoons salt; and cook until al dente, about 10 to 12 minutes. Drain well. Meanwhile, cut up cauliflower into florets. Heat olive oil in a large pan; add garlic and saute for one minute; sprinkle in paprika then immediately add cauliflower. Sauté over medium heat, stirring occasionally, for about 5 minutes. Add 1/4 cup water; cover the pan, lower the heat to medium-low, and cook until tender but firm, about another 5 minutes. Uncover and stir in the pignoli and salt to taste. When the pasta is cooked, drain well and transfer to a serving bowl. Pour the cauliflower mixture on top and mix. If the pasta seems dry, drizzle some extra virgin olive oil on top and mix. Sprinkle some parmigiano or pecorino over the top and serve hot. 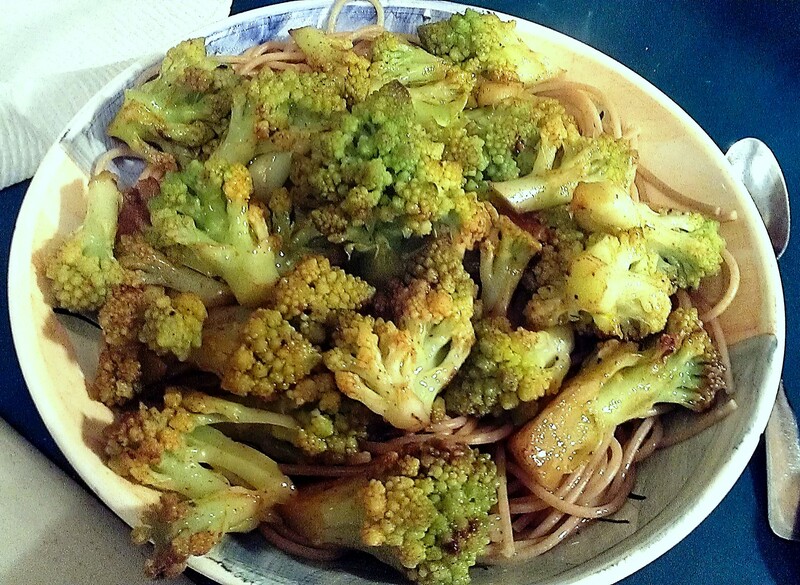 Categories: Pasta, Recipes, Uncategorized, Vegan, Vegetables, Vegetarian | Tags: broccoli, cauliflower, pasta, romanesco | Permalink.